Planet Mountain snagged an interview with Tommy Caldwell and Alex Honnold after their completion of the Fitz Roy Traverse in Patagonia. While neither climbers have much experience with Alpine style, they were able to quickly hammer out this epic ridge line in 5 days with some help from other climbers and some luck with the weather. 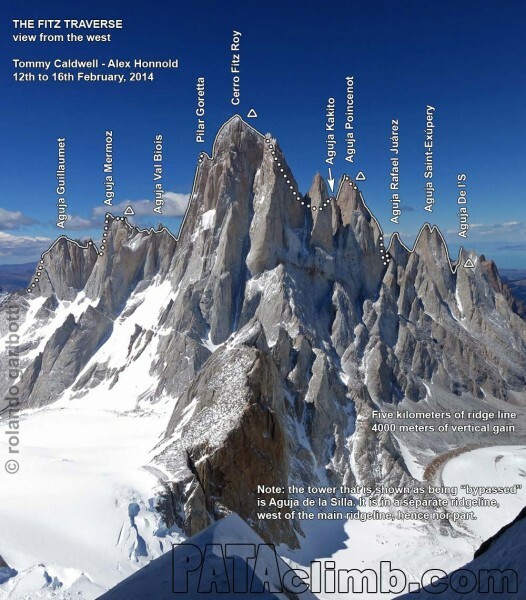 Rolando Garibotti reports on Super Topo of Tommy Caldwell and Alex Honnold’s completion of the “Fitz Traverse”, a truly amazing achievement!